Two parter, really - two moments in this edutainment game absolutely scared me as a kid. So. The entire game is... actually kinda scary for an audience of 4th graders. It's basically a defanged version of a survival horror game wherein you explore a haunted island straight outta Tim Burton and Henry Sellick's imagination trying to restore your cursed classmates. The game is divided into "missions" - you have to basically complete an actiity that Pomreeda (one of your few allies on the island - the others are neutral or hostile) assigns you. Her voice will then say "Come to Pomreeda's to accept your challenge." Seeing it suddenly come out of nowhere made me nearly scream. While walking around the island, you may, on occasion, get a jump-scare by Repsac. Here's the thing that made Repsac scary to an eight year old: He could appear anywhere on the island. In the labyrinth, he could appear THERE, too - when I wandered around the labyrinth and got lost, he appeared there. A 50ft humanoid fire-breathing robot decorated with rotting corpses that's also probably the hardest boss I've ever fought. EDIT: Definitely didn't forget I was doing silly titles for this thread. 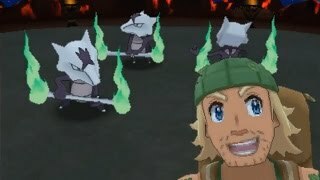 The Totem Pokémon are powerful Pokés who you must fight on several occasions in Pokémon Sun and Moon, replacing gym leaders for the most part. They are basically super-sized versions of regular Pokés... many of which are evolved. Nothing shows you the pure size of one than Totem Lurantis. This is Lurantis - also the trainer who has the same "DUUUUUUUURRRRR" facial expression throughout most of the game. Note that according to the Pokédex entry, it is 2'11". That is clearly NOT 2'11". Some are honestly just plain silly though - Totem Salazzle takes the cake. First off in tis trial, you must guess what is different than the two pictures after the Marowaks dance. First off, you get this. This left more people laughing. Totem Vikavolt, however, is actually relatively scary. Mostly because the trial places you in the dark and you have to listen to sounds. Then at the very end, Vikavolt announces its presence with "HEEEEEEERE!". Kinda... freaky. The Vikavolt-cam shots before didn't help either. 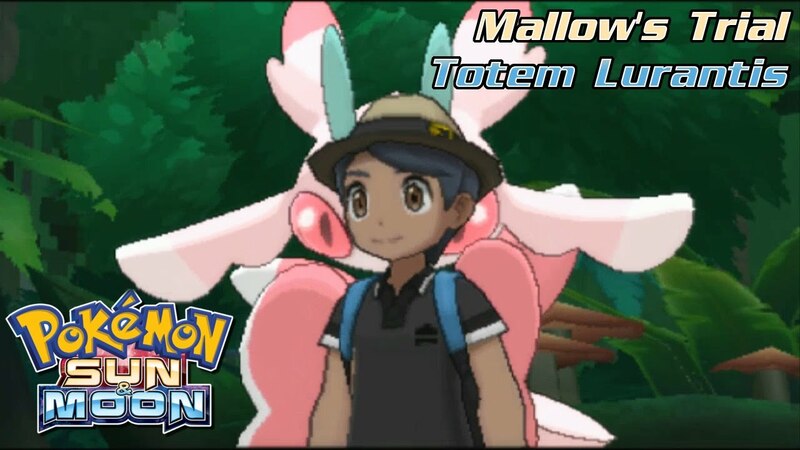 Totem Mimikyu is built up as being scary... but it's so plain cliched that it comes off as more funny than this. The next notable one is Totem Kommo-o then appears in Vast Poni Canyon. Kommo doesn't appear until you go right at the end.... and it's mentioned that it's watching you. Then all of a sudden, Fully-evolved-pseudolegendary coming RIGHT AT YOU!! 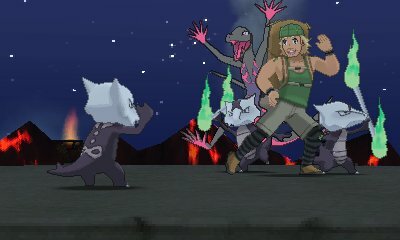 [spoiler]The Ultra Beasts give the same aura as the totem Pokés... oh ****.... that leads to some weird implications that the Ultra Beasts may have mutated the totem Pokés. And when you fight Motherbeast Lusamine... HER Pokés get that aura, too. But there is something else along with it. This image gives a very good side-by-side comparison to what ELSE Her Pokés got. 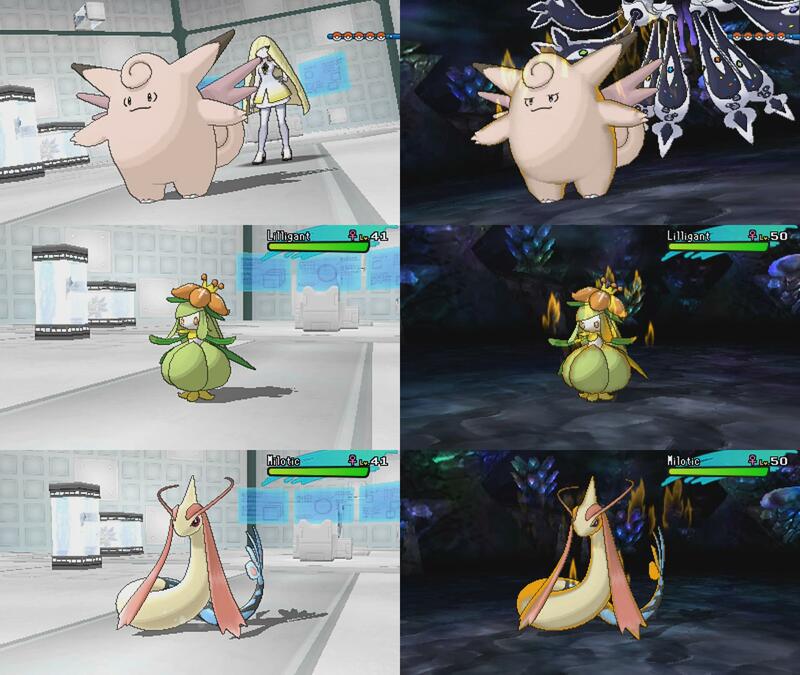 On the left are her Clefable, Lilligant, and Milotic when you first fight her.... on the right is when you fight Lusamine as the Motherbeast. Note the differences in expression? What's more, her team also consists of a Mismagius.... and a Bewear. About halfway through Firewatch, you find a walky-talkie and a notebook filled with transcripts of your conversations before someone knocks you out from behind and takes both items. The sequence that follows sees you first trying (and failing) to get help from a controlled burn crew, then breaking in to a mysterious fenced area in order to figure out who is stalking you. There aren't any jump scares after the initial attack, but it's all incredibly tense. I wasn't as big on Firewatch as a lot of people were, largely because the mystery ends with a bit of a fart, but I can't deny this part got to me. One of the only times I've had to quit a non-horror game until I could play it in daylight. 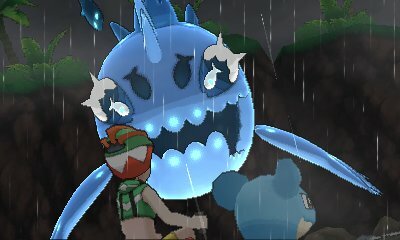 ^^If I had to pick any totem Pokemon moment that made me uncomfortable, it would be the totem Wishiwashi reveal. Granted, that might have a little bit to do with my irrational fear of most open water areas in video games. Harvester is already absurdly gory, but this scene in particular stands out, especially since it comes right out of the left field. Early in the game you'll witness a wasp battling a spider in your baby sister's crib; your sister will eat the spider. It later turns out that spider had wasp eggs inside it, because... well, here's a video if you're really curious. The game's second mission takes you to a Rebel base immediately following the unveiling of the Empire's secret Dark Trooper project. 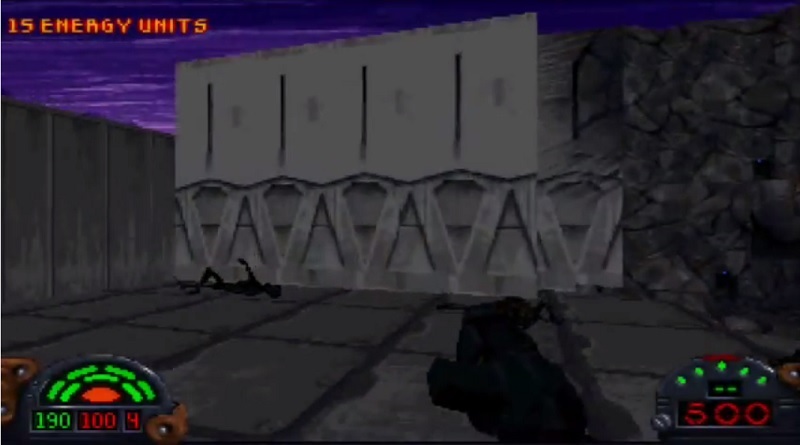 The level is littered with the charred, blackened skeletons of Rebels and civilians. 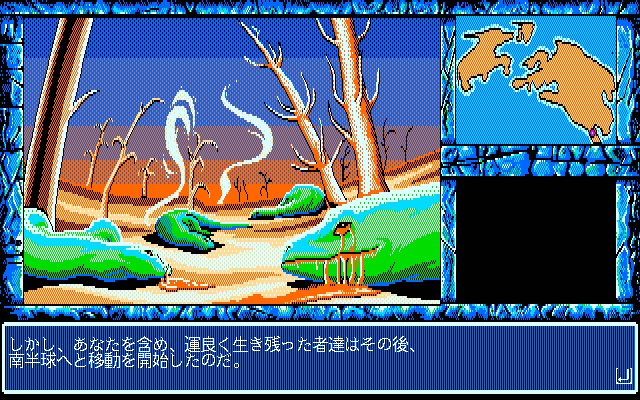 Bonus: the corpse sprites appear to have been modeled off of Owen and Beru's smoldering skeletons. A plot point of Persona 2 (Both games) is that if you dial yourself, someone called the JOKER appears. In Eternal Punishment, JOKER functions differently. JOKER would ask who you want to see dead, and then attempt to kill them. If you had called the JOKER, you'll become one yourself - and become a lunatic with no facial features except for a smile. It's far more scary than in Innocent Sin, because it's baiscally an attempt to control people. In Innocent Sin, the Joker was one person, whereas it's an infection in Eternal Punishment. So this one mission can be scary for a multitude of reasons, but this specific part gets me every time. You've opened the gate to the Conservatory, and your first thoughts are to walk inside. 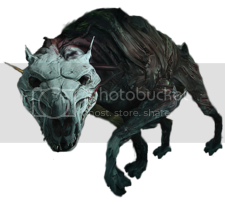 From the foliage you cant see the entrance too good, but once your there you see a green tunnel and..
A skull that you couldn't see beyond the grass and greens becomes this monster dog thing called a "Gravehound". The worst part? Even after killing them, their skull remains. They will reappear in under a minute unless you smash the skull or run away in time. Throughout level (and other parts of the game) they appear and their skulls appear in such easy to miss places. Along with this, the Conservatory has such a creepy atmosphere. Whipcracks are the large, wooden tendrils that writhe about and damage you on contact. Those inexplicable plants are creepy enough, but then there's Whiplashes, which are the same thing but made of flesh and found exclusively inside Clanker's belly. Nasty. These things are infuriating in a no-detect run, but on the bright side, they're in the same class as hounds and don't count as kills against a pacifist run. Using them as dumping grounds for all the grenades and and bullets you're otherwise not using is fun. Major spoilers since this is about the final boss. That said, and as you will probably guess from the below, the story is ****ing nonsense by that point, so the spoilers aren't a great loss. GR and GR2 are, for the most part, optimistic Saturday morning cartoons where everything works out okay, people either don't die or do so in completely PG ways, and the villains are amorphous blobs that basically just wait around for you to kick them to death. That goddamn monstrosity. She's suddenly a colossal mass of screaming faces and throbbing pustules adhered to the side of a skyscraper, and you defeat her by individually dive-bombing and destroying each of the screaming face's eyes. Nothing prior to this moment suggested anyone could do this, and the game just ends immediately after the fight without acknowledging the obvious question of "WHAT THE **** WAS THAT?" Well, it doesn't end immediately. She knocked her father's airship to the ground while transforming, and since the devs figured we'd all be dying to know what happened to him, they treat us to his final speech while the credits roll. Also a quite unexpectedly graphic view of his very lethal and bloody impalement on a bit of rubble. At the end of the game's third chapter, the Devil shrouds the world in darkness via a solar eclipse. When the light returns, most life in the Northern Hemisphere is extinct, and we're treated to this image of cute little reptiles bleeding out of their eyes and mouths. At one point, your party is locked up in cells, and at one point, it goes deathly quiet, aside from this one theme. And you literally see a trail of blood and dead bodies. 418. The **** title screen jingle in the original Madden for PC. I get that it's supposed to be crowd cheering, but it sounds like screaming thanks to the limited technology.